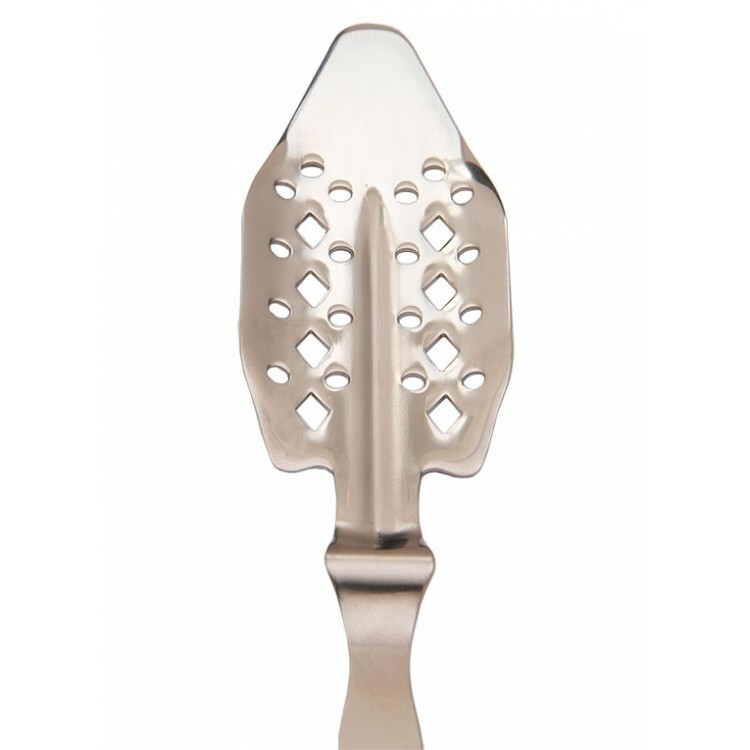 If you are looking for a nicely priced starter Absinthe spoon with a good quality the ALANDIA Barware Classic Absinthe spoon is definitely your choice. 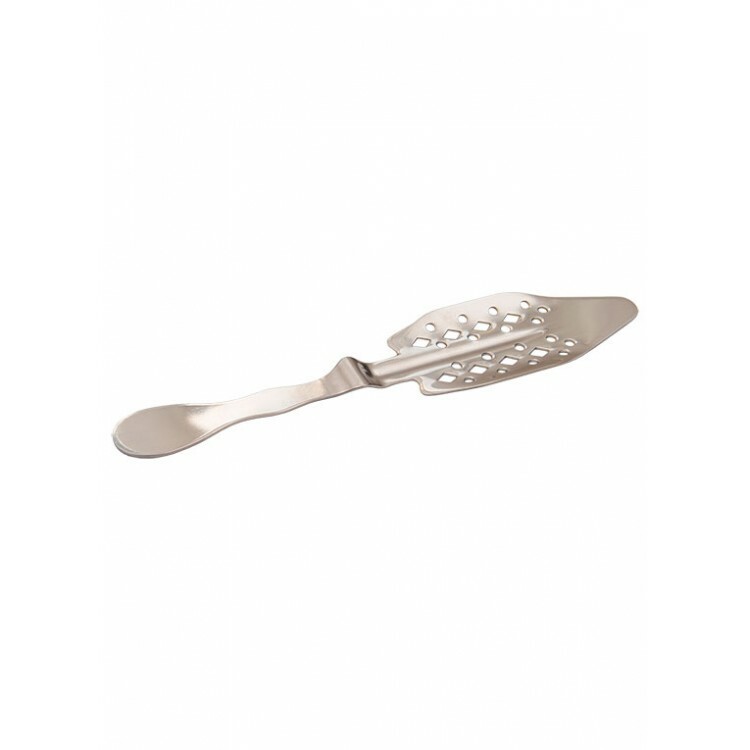 It is made of stainless steel and has an authentic design. 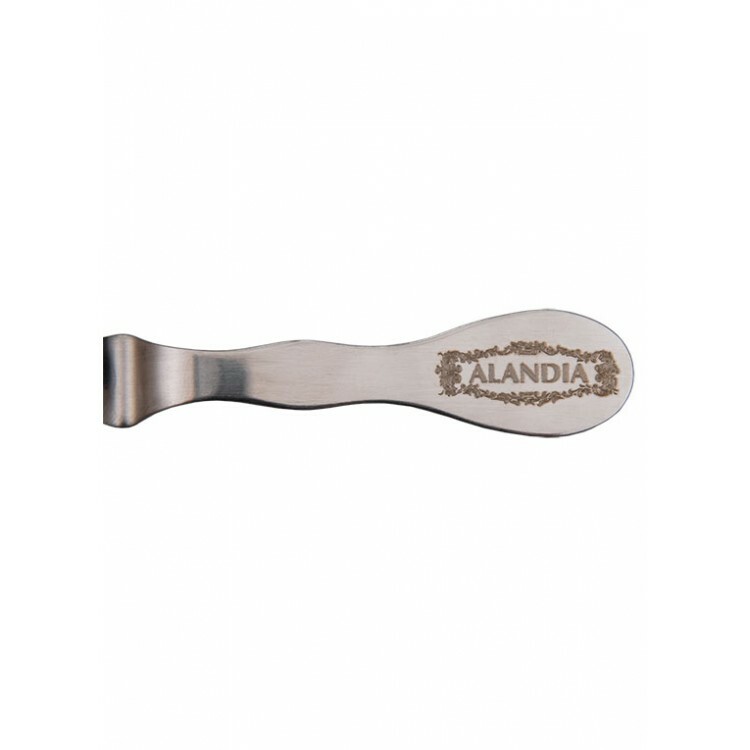 If you are looking for a nicely priced starter Absinthe spoon with an excellent quality this ALANDIA Barware spoon is your choice. 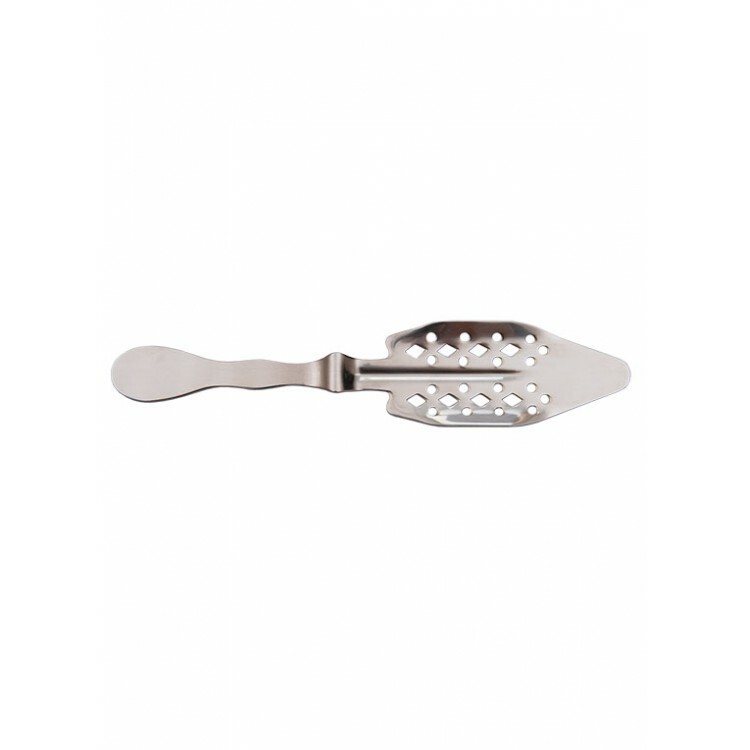 The Classic spoon has the same design as vintage originals from the 19th century. 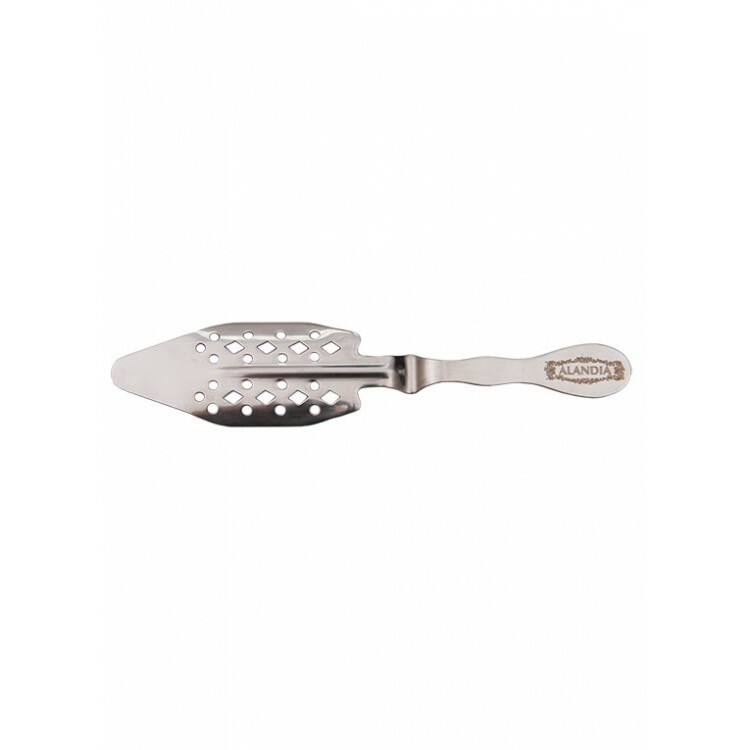 It is made of durable stainless steel, therefore it is as well dishwasher safe. 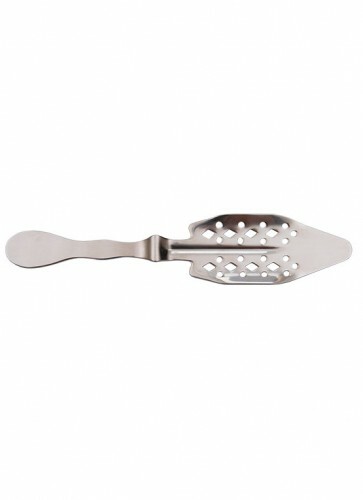 The material gives the spoon as well a decent weight, resulting in a qualitative haptic impression. 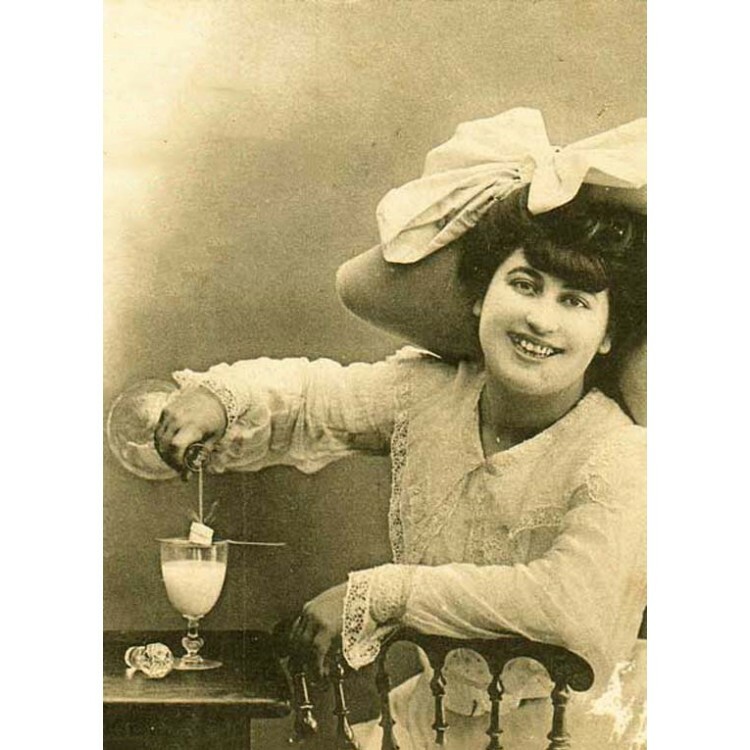 The sides of the Absinthe spoon are slightly bended, therefore the sugar cube stays stable on the spoon, even if you pour water over it. The backside of the handle is discretely engraved with the ALANDIA crest. This looks nice and gives you as well some grip. 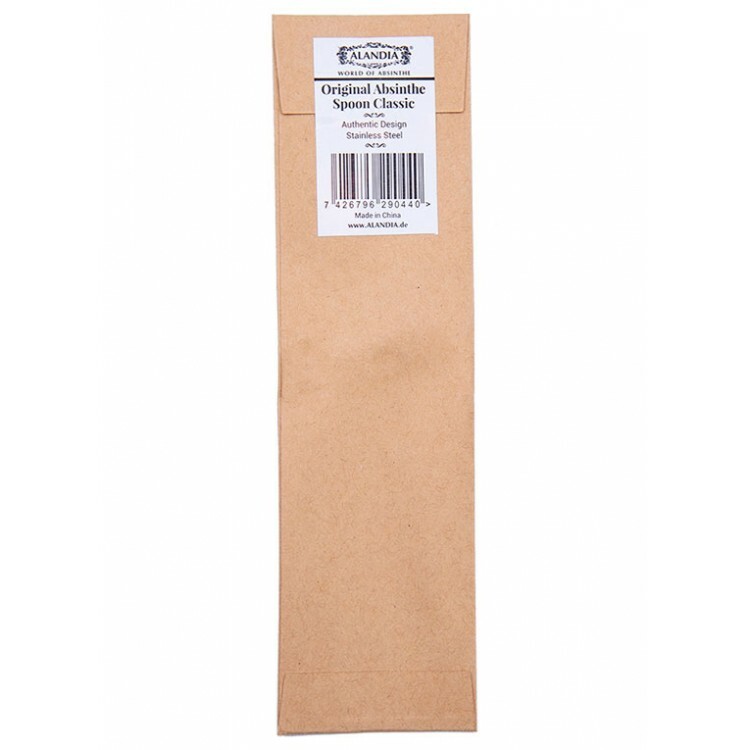 Every spoon is furthermore nicely packed in a paper envelope. 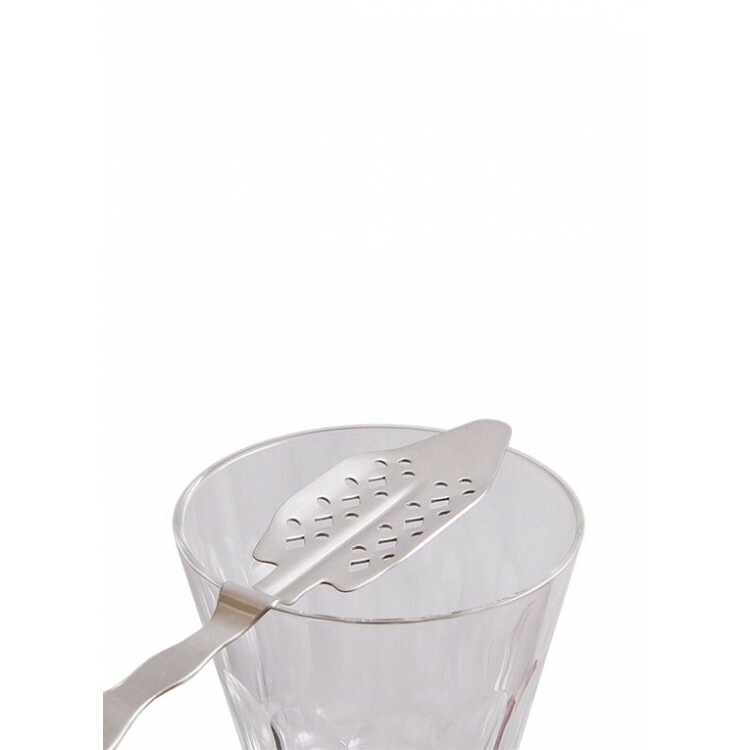 We highly recommend this spoon to any Absintheur! Good deal. I like the engraving on the back. When you need a nice starter absinthe spoon, go for it.